James Dashner!!! I LOVE your books more than words can explain. My friends and I do not talk about your books at lunch everyday *cough cough*. Well..... what can I say, they're just that amazing. I can wait for everything that is coming up, the prequel, the new website.... I really can't. Please hurry!!! Good that. Really enjoyed reading the answers to the questions. Thank you so much for sharing them. Don't want to give anything away for those who haven't read Scorch Trials, but I must say that my daughter was heart broken by her fav. character from the series. Heart-broken. You broke her heart. That's all I have to say, except that my son's fav. character is Jorge. He's one of my faves too. Oops. I meant Death Cure. Death Cure broke her heart. The Thirteenth Reality?? Anything more than a title and the oh so cursed words more coming soon??? This is so cool! Thanks for answering our questions! Hey! I was wondering if you're going to do or are planning any book signings? Possibly in New York? 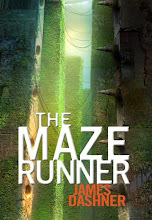 The ever talented and famous author James Dashner is back! I certainly love your stories coz’ it’s unpredictable, simply fantastic! I can’t to wait to see what your new literature is. Keep up with your cool and surprising ideas. It’s really perfect for you books. Have a nice weekend to you and your family!